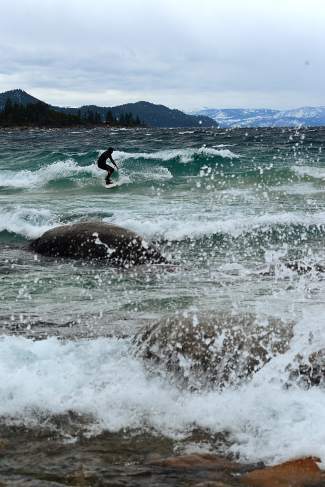 Lake Tahoe skiing: Foot of snow recorded from storm – and Thursday Tahoe surfing pics, too! 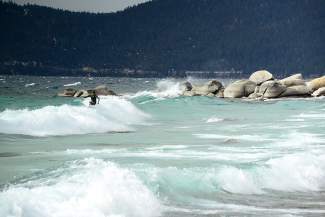 Mickey Gardner and Kevin Hair of Incline Village caught some waves on Lake Tahoe Thursday afternoon off Hidden Beach. 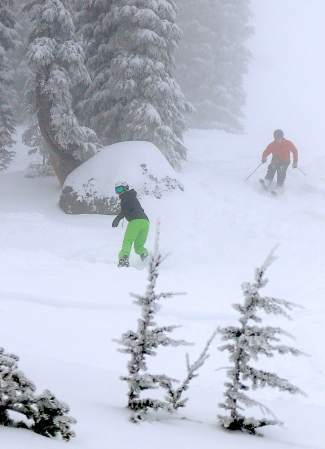 Thursdayâs storm eventually brought snow up top âÂ during the day, it brought heavy winds throughout the region. 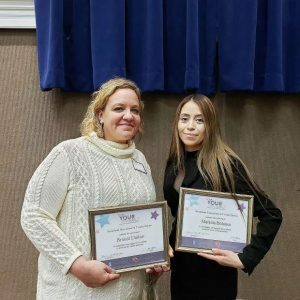 TRUCKEE, Calif. — The first weekend of December, just like November, has gotten off to a wintry start thanks to another small storm that brought about a foot of snow to the Truckee-Tahoe region. 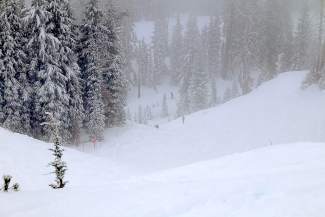 Sugar Bowl reported a foot of fresh at high elevation by Friday morning, kicking off the weekend with a powder day at the famed ski resort near Donner Summit. 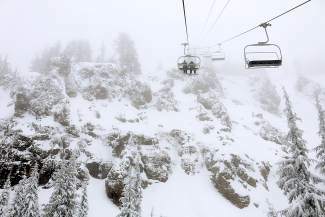 Elsewhere, 8 inches of snow fell at upper mountain at Squaw Valley, and 10 inches was recorded at Alpine Meadows’ upper mountain from the Thursday storm, according to the resorts, with 7 inches accumulating at Squaw’s base, and 8 inches at Alpine’s base. 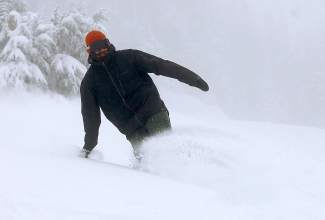 Meanwhile, Northstar California also reported 10 inches up top, the resort announced Friday morning, boasting top to bottom skiing with 39 runs and 34 features in its terrain park. 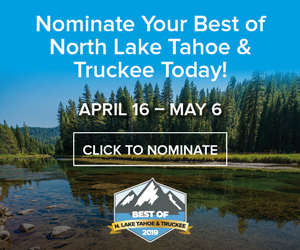 According to the National Weather Service in Reno, sunshine is forecast into the weekend, making for ideal bluebird early season conditions. 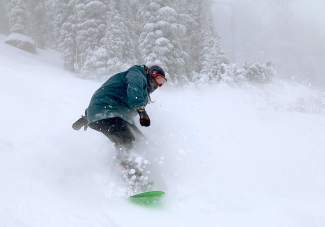 Thursday’s storm, which died down overnight, was the fifth storm to drop snow on the Truckee-Tahoe region since the start of November.